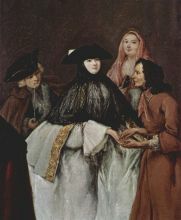 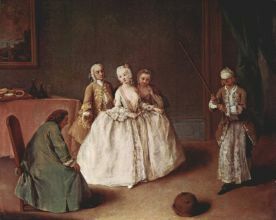 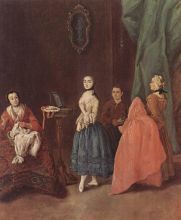 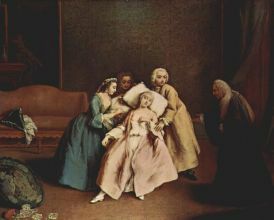 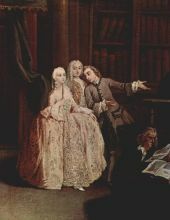 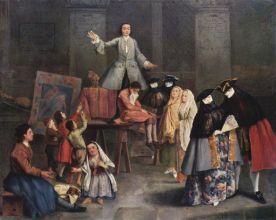 Pietro Longhi (November 5, 1701 - May 8, 1785) was a Venetian painter of contemporary scenes of life. 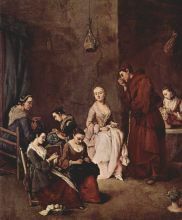 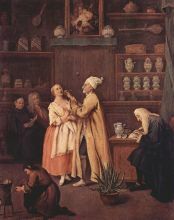 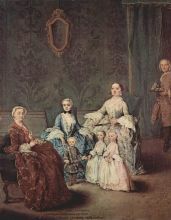 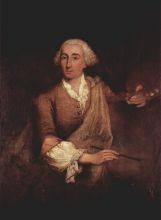 Pietro Longhi was born in Venice in the parish of Saint Maria, first child of the silversmith Alessandro Falca and his wife, Antonia. 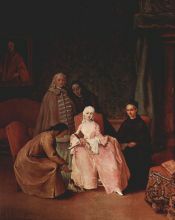 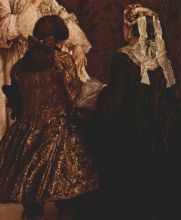 He adopted the Longhi last name when he began to paint. 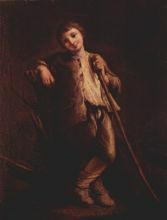 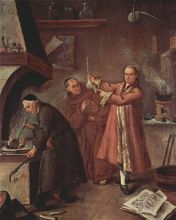 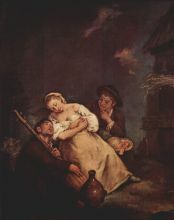 He was initially taught by the Veronese painter Antonio Balestra, who then recommended the young painter to apprentice with the Bolognese Giuseppe Maria Crespi, who was highly regarded in his day for both religious and genre painting. 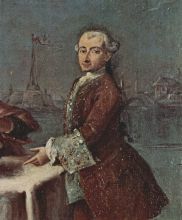 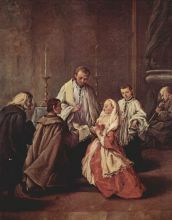 He was married in 1732 to Caterina Maria Rizzi. 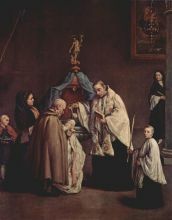 Among his early paintings are some altarpieces and religious themes. 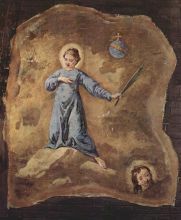 In 1734, he completed frescoes in the walls and ceiling of the hall in Ca' Sagredo, representing the Death of the giants. 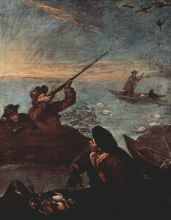 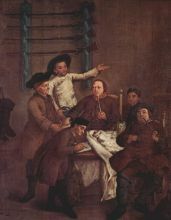 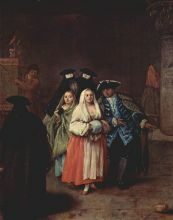 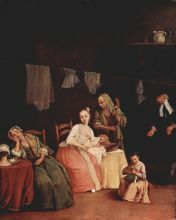 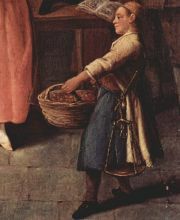 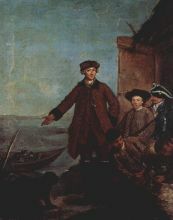 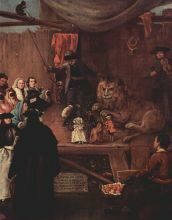 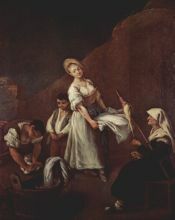 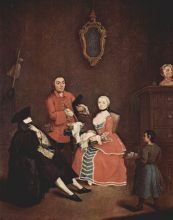 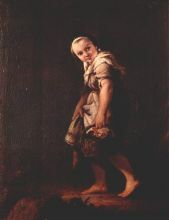 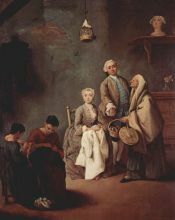 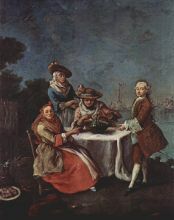 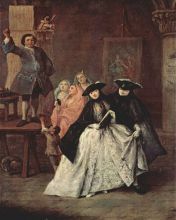 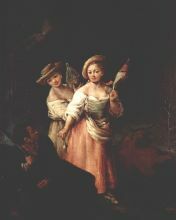 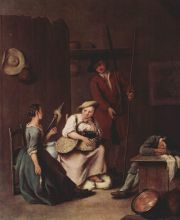 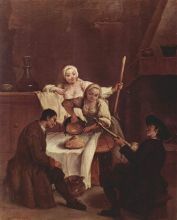 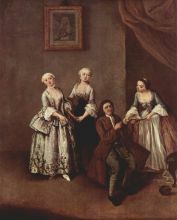 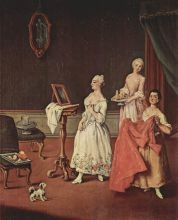 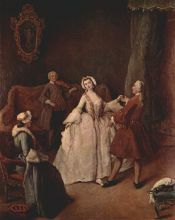 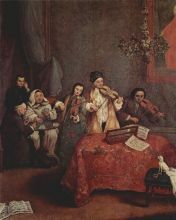 Henceforward, his work would lead him to be viewed in the future as the Venetian William Hogarth, painting subjects and events of everyday life in Venice. 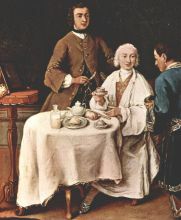 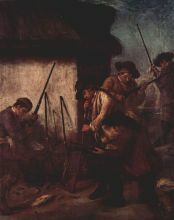 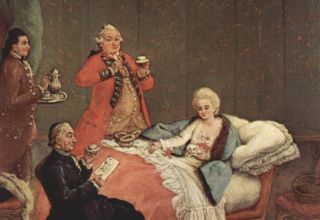 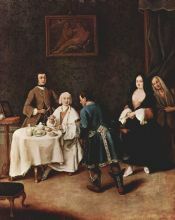 The gallant interior scenes and reflect the 18th century's turn towards the private and the bourgeois. 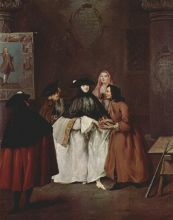 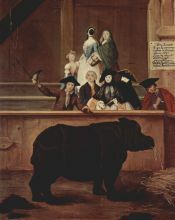 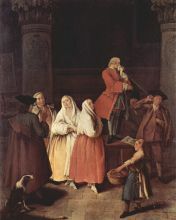 Many of his paintings show Venetians at play, such as the depiction of the crowd of genteel citizens awkwardly gawking at a freakish Indian rhinoceros (see image). 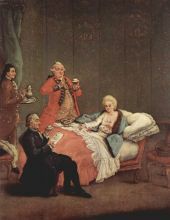 This painting chronicles Clara the rhinoceros brought to Europe in 1741 by a Dutch sea captain and impresario from Leyden, Douvemont van der Meer. 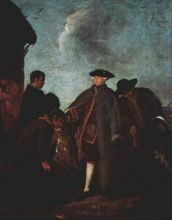 This rhinoceros was exhibited in Venice in 1751. 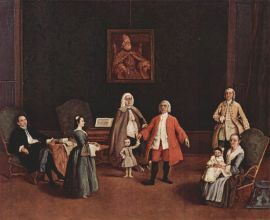 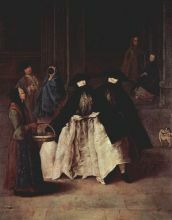 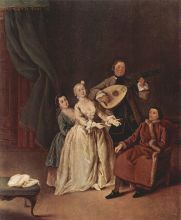 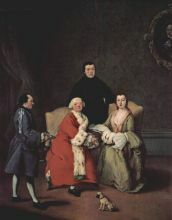 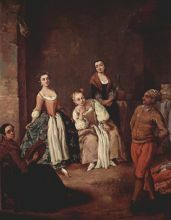 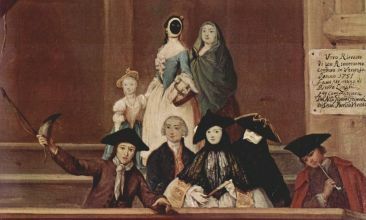 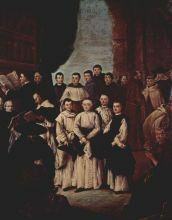 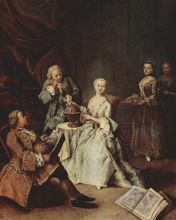 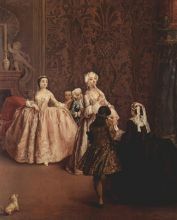 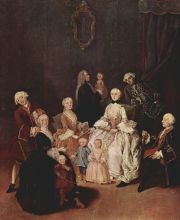 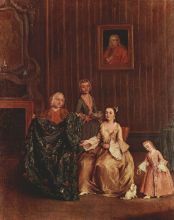 There are two versions of this painting, nearly identical except for the unmasked portraits of two men in Ca' Rezzonico version. 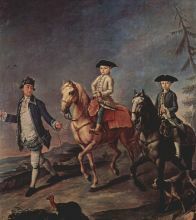 Ultimately, there may be a punning joke to the painting, since the young man on the left holds aloft the sawed off horn (metaphor for cuckoldry) of the animal. 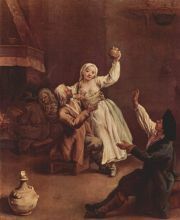 Perhaps this explains the difference between the unchaperoned women.